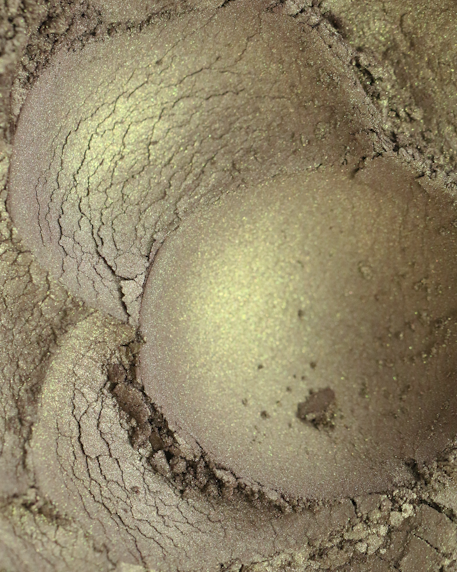 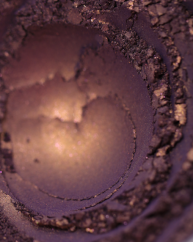 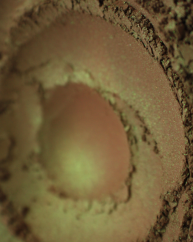 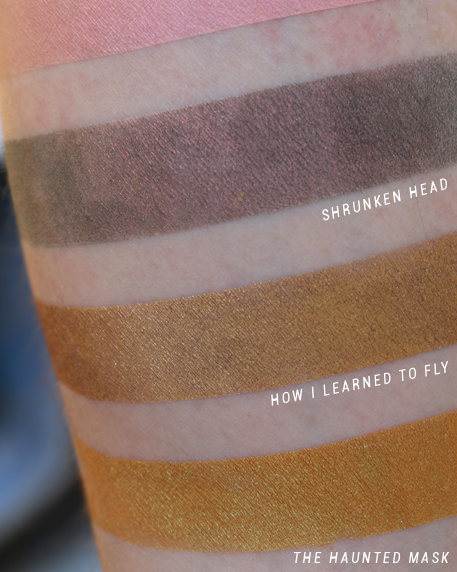 A classic warm brown base that gives way to a metallic-ish golden sheen. 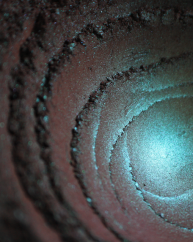 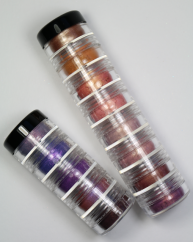 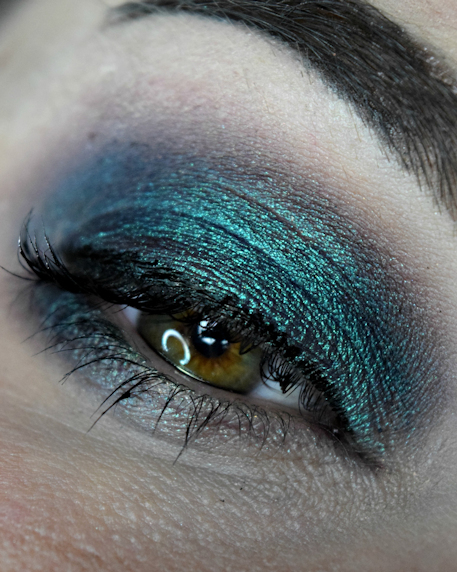 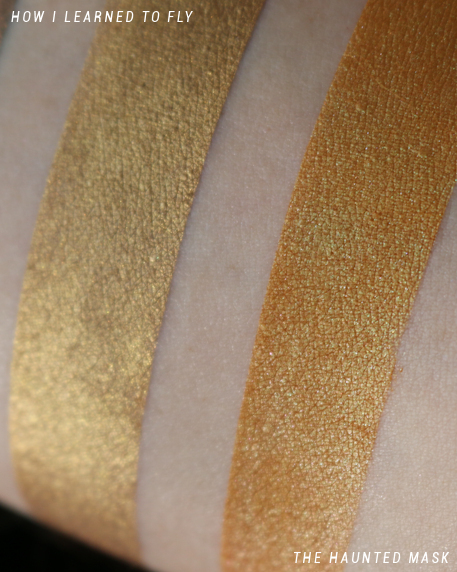 In sunlight it looks almost foiled; and if you do foiled this one we imagine it would be stunning! 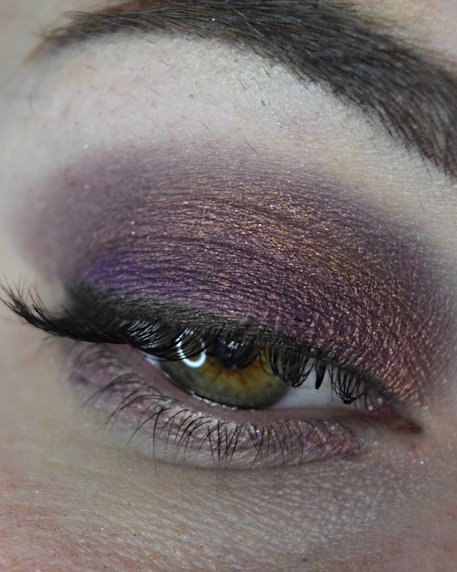 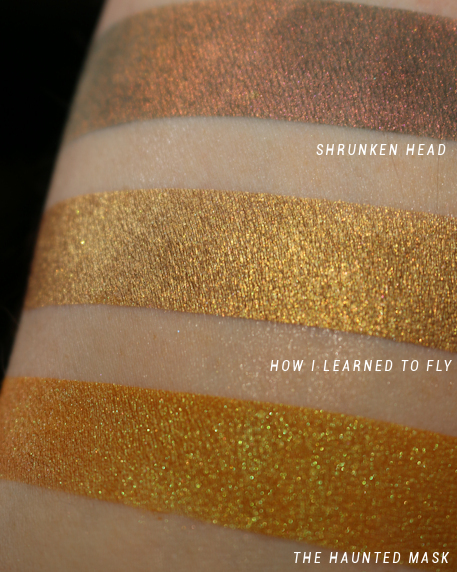 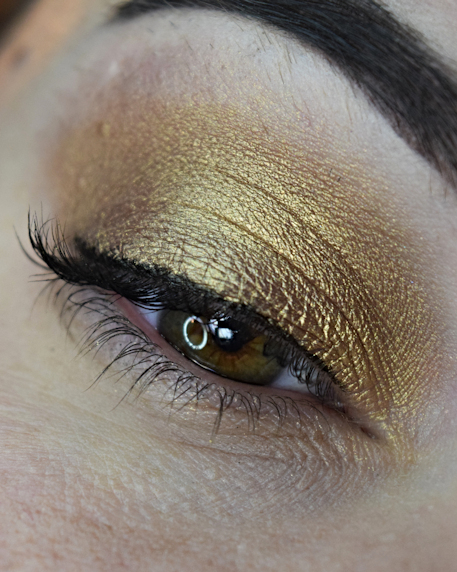 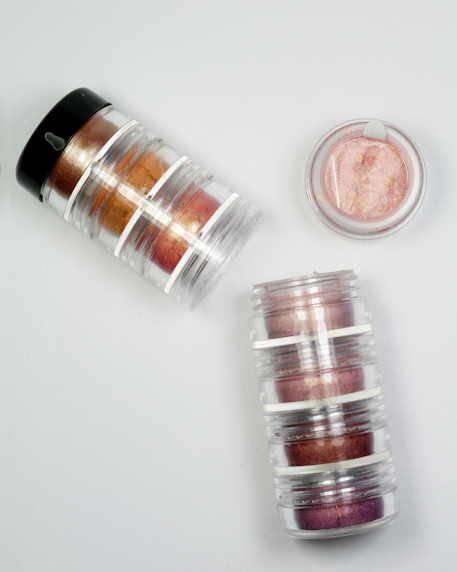 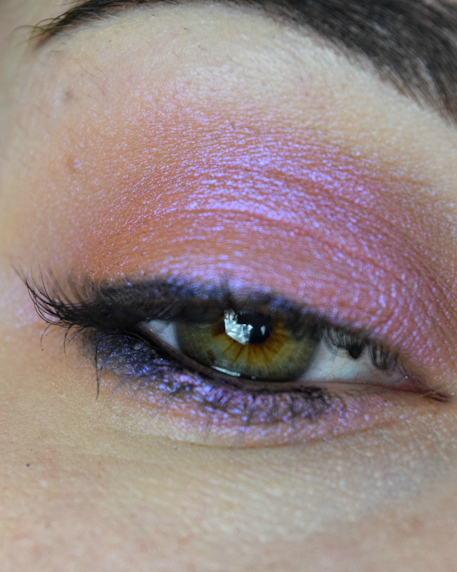 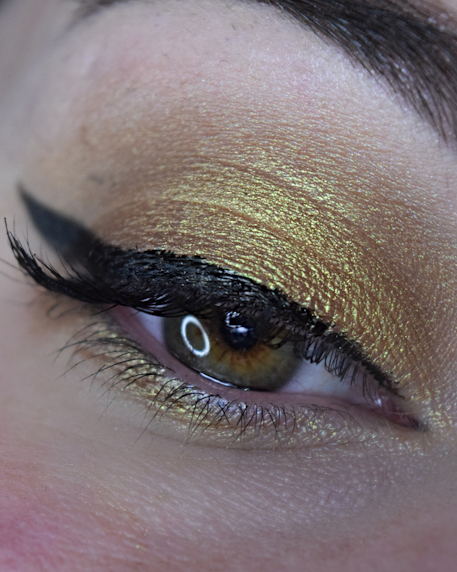 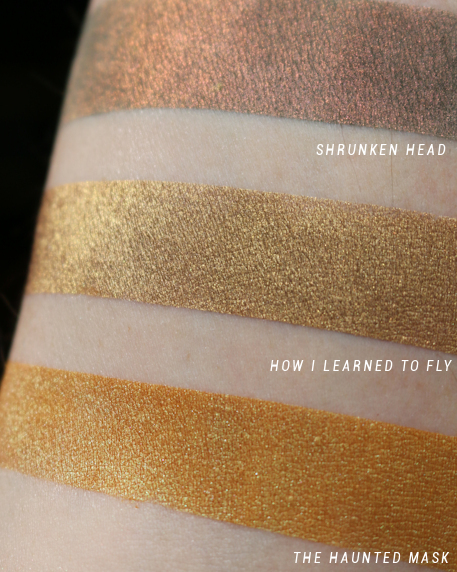 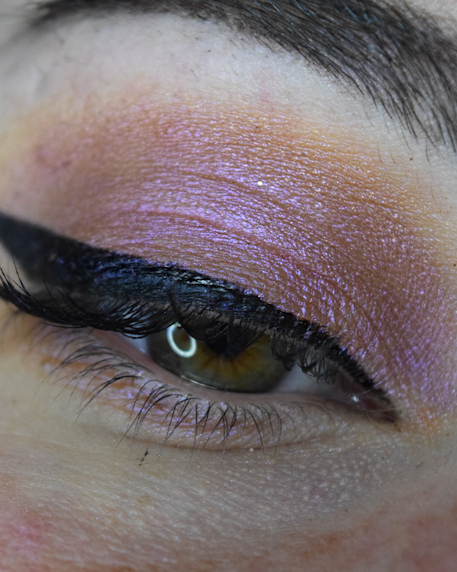 How I Learned to Fly is a perfect warm gold that is a staple for an easy everyday look. 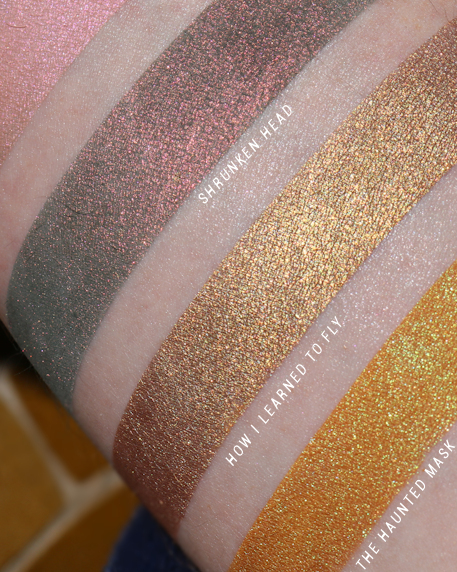 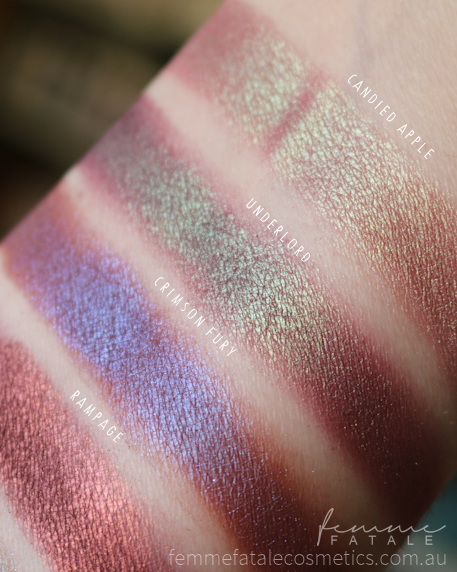 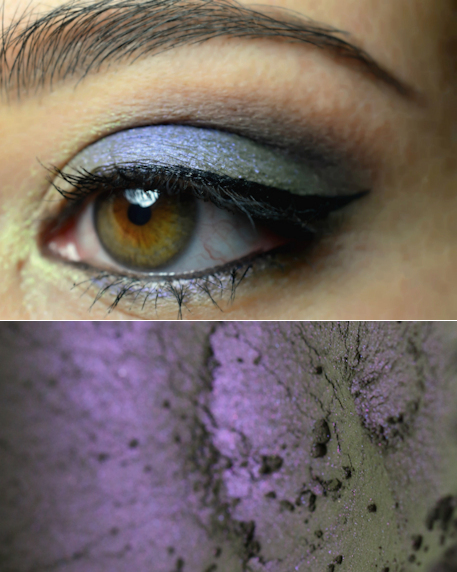 Arm swatches show this shade patted over Fyriannae’s Pixie Epoxy in different lighting. 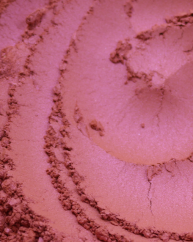 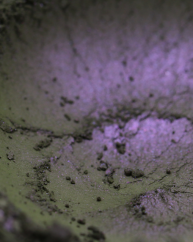 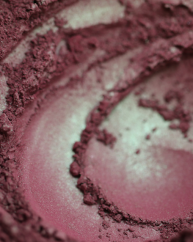 Ingredients: Mica, Titanium Dioxide, Tin Oxide, Iron Oxide (77491; 77499), Bronze Powder, Silica, Carnauba Wax, Magnesium Stearate.